What is the difference between a CP12 and a Landlords’ Gas Safety Certificate? The Energy Company Obligation was introduced into Great Britain in 2013. This initiative obliges the country’s largest gas and electricity suppliers to provide the general public with energy efficiency measures, such as replacement gas boilers, cavity wall insulation and loft insulation, or to pay part of the costs of these products. Eligible parties must either own their property or privately rent it. Tenants must have their landlord’s permission to perform the work. 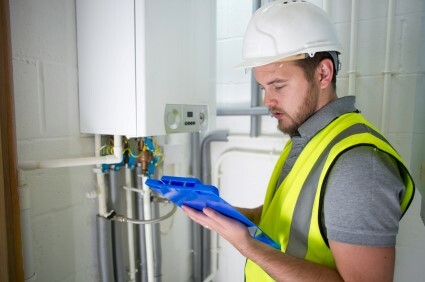 Participants may also need to be a recipient of certain benefits; interested parties can contact the boiler breakdown specialists at 247 Home Energy for clear and concise information. The Energy Company Obligation is focused on low-income households and vulnerable communities, as well as people who have particularly high energy bills or a particularly high carbon footprint. This includes people who do not have a mains gas supply to their boiler, and people who cannot receive energy efficiency upgrades through other government initiatives such as the Green Deal. Energy companies must provide central heating repairs and upgrades and insulation improvements for vulnerable and low-income households, as well as the elderly, disabled people and families. Recipients must claim means-tested benefits. This policy requires energy suppliers to fund the installation of solid wall insulation and more complicated forms of cavity wall insulation, as complex energy efficiency renovations cannot usually be financed through the Green Deal. This aspect of the Energy Company Obligation is also focused on insulation measures. People in the most deprived areas of the UK – particularly residents of social housing – can receive low-cost or free insulation measures with the help of their gas and electricity supplier. It is thought that almost a quarter of a million households will be assisted through the Energy Company Obligation, with energy suppliers spending £1.3 billion on the initiative. A total of 75% of this will be spent on carbon reduction obligations, with the remaining 25% spent on affordable warmth schemes. The Energy Company Obligation can be directly funded by electricity suppliers or provided by organisations that work with energy firms through pre-approved arrangements. The scheme’s upgrades and providers are administrated through Ofgem. The initiative is set to conclude in 2015.